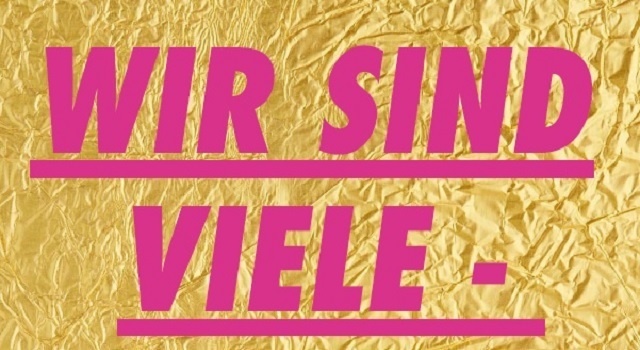 Stadtmuseum Berlin is one of 90 Berlin cultural institutions to sign the Berlin Declaration by Die Vielen e.V. (The Association of the Many). With this gesture, we show solidarity in the world of art and culture. With its offerings and programmes, the Stadtmuseum Berlin stands for tolerance, diversity and respect, and we are committed to working actively and sustainably to maintain these principles. The institutions who sign this declaration will work together with numerous other initiatives, associations and civil society organisations to fight racism and other forms of discrimination and work toward a just and open society of solidarity. The cultural institutions signing this declaration will lead an open and critical dialogue that creates awareness in regards to right-wing strategies. They will engage in these dialogues with all participants as well as the public with the conviction that their institutions have a commitment to advancing our society democratically. All signatories accept the commitment that they will not provide a platform for racist-nationalist propaganda. We will create a defense against the illegitimate attempts made by right-wing nationalists to exploit art and cultural events for their own purposes. Solidarity over privilege. It's about all of us. Freedom for the arts!